We carry way more than just swords at Buying a Sword. We also carry axes, halberds, spears, daggers, and flails, just to name a few. Shop our weapons by function to more easily browse through all our items. 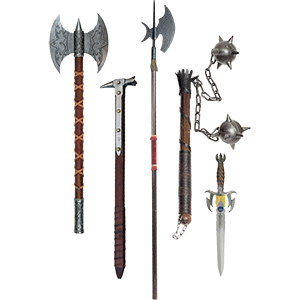 Here you can choose between decorative weapons, functional weapons, stage combat weapons, and training weapons. Each category is further broken down by filters for each weapon type, making it easy to find the precise sort of weapon you want. 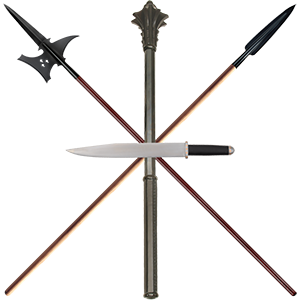 Decorative weapons are great for creating impressive displays. 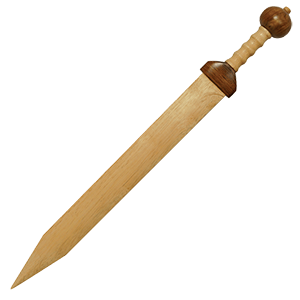 Functional weapons are useful for combat and historical reenactment, and our stage combat weapons are great for theatrical performances. Training weapons are for practicing or learning technique. We have medieval, Viking, Renaissance, Asian, and Middle Eastern weapons all included here, as well as all weapon types. Hone in on the exact weapon you need with our Shop Weapons By Function category. Here you will find all of our training weapons. This includes all types of weapons and training weapons made of both synthetic materials and wood. Our synthetic training weapons are typically made of sturdy polypropylene and duplicate the appearance, weight, and feel of various historical weapons, providing a great practice experience as you hone your skills. Wooden practice weapons are also a great choice, and we carry many in a variety of historical styles. 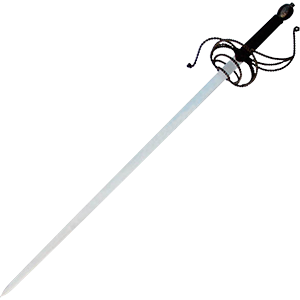 Shop here for synthetic samurai swords, polypropylene knight swords, and synthetic gladius swords as well as wooden Excalibur swords, wooden tanto, bamboo kendo swords, and bokken. If you have a need for a training weapon or weapon without a metal blade, this is the place to shop!